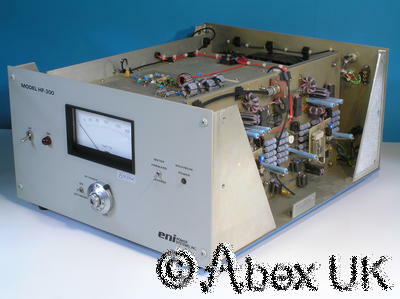 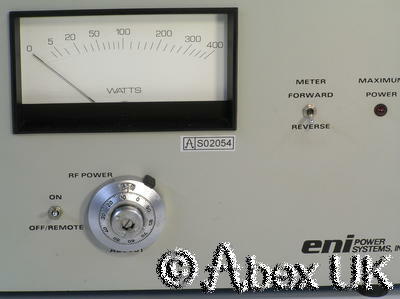 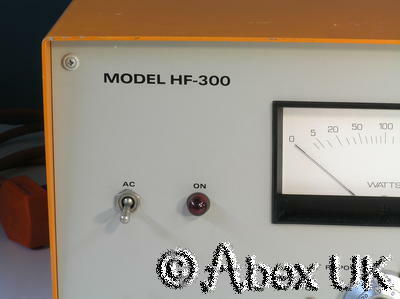 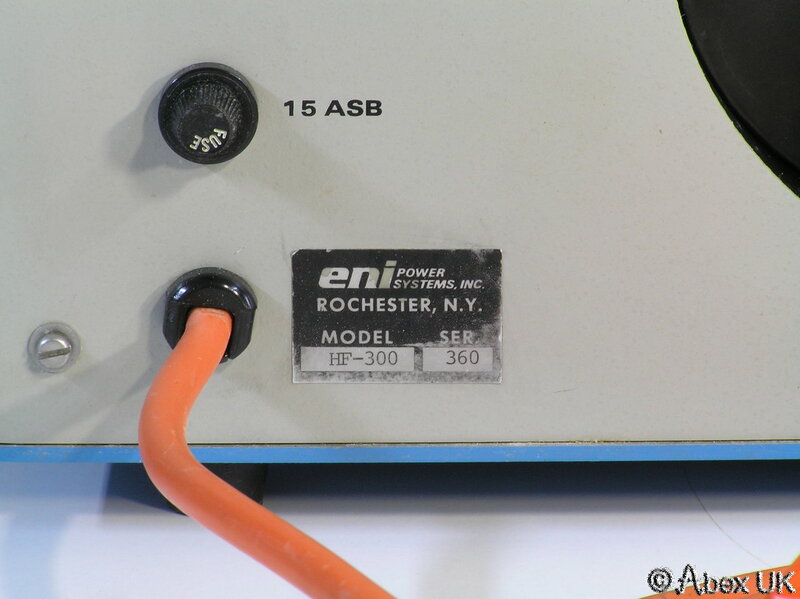 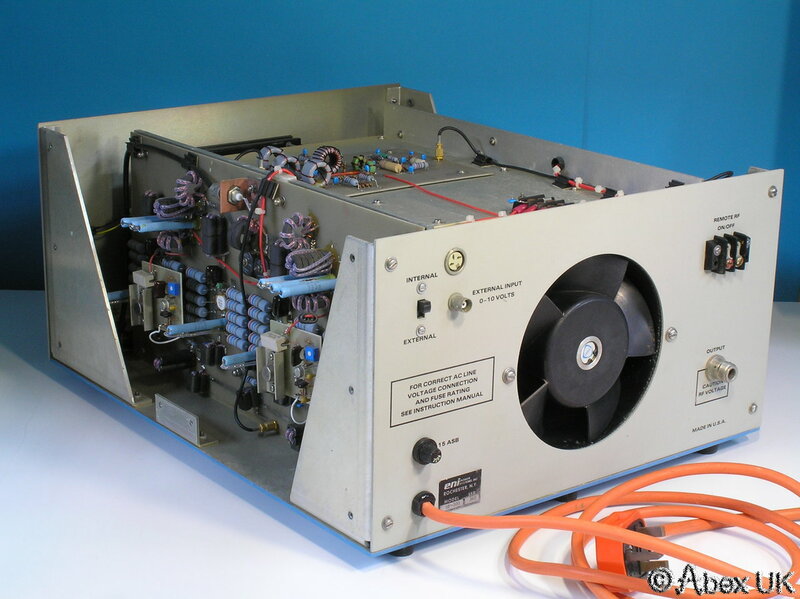 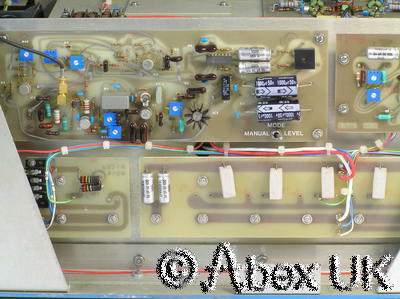 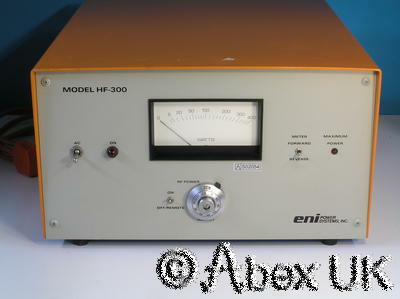 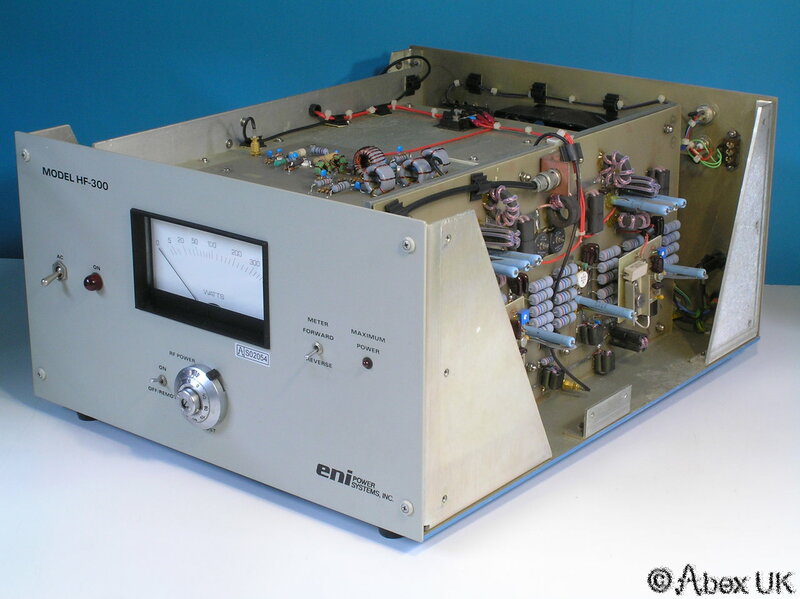 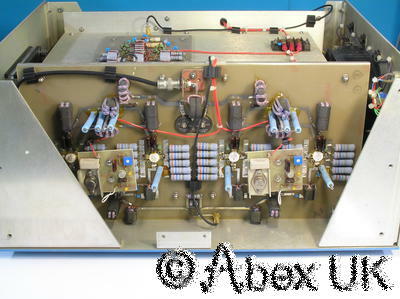 ENI HF-300 (2100) 300 Watt HF RF Amplifier Power Generator Ham? 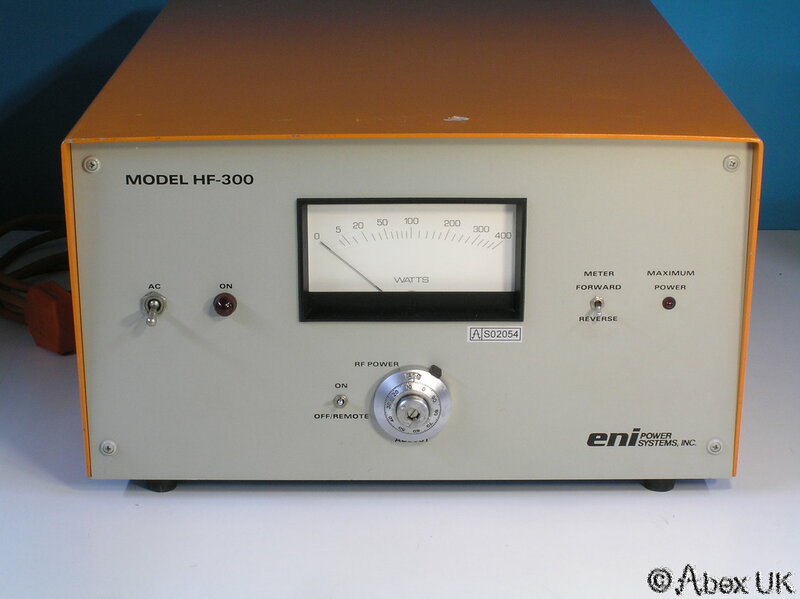 The ENI HF-300 is a 300 Watt RF Amplifier covering the HF frequency range. 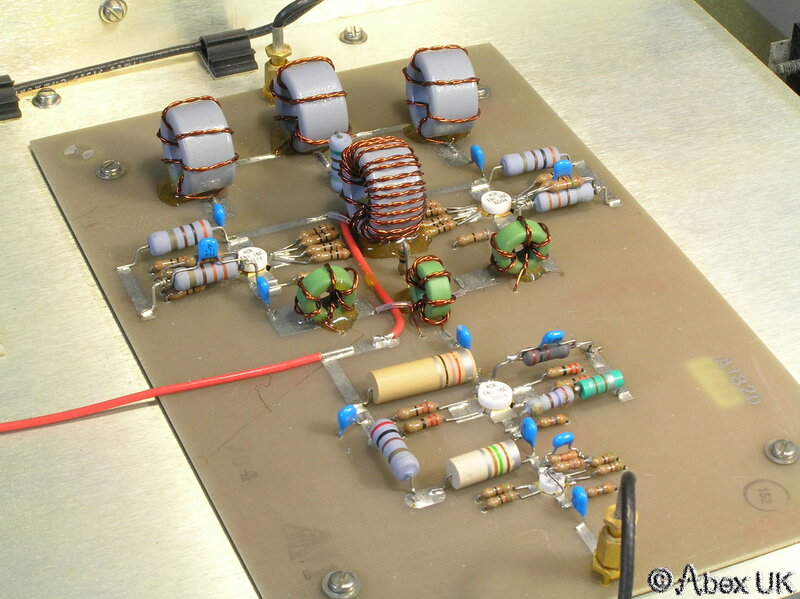 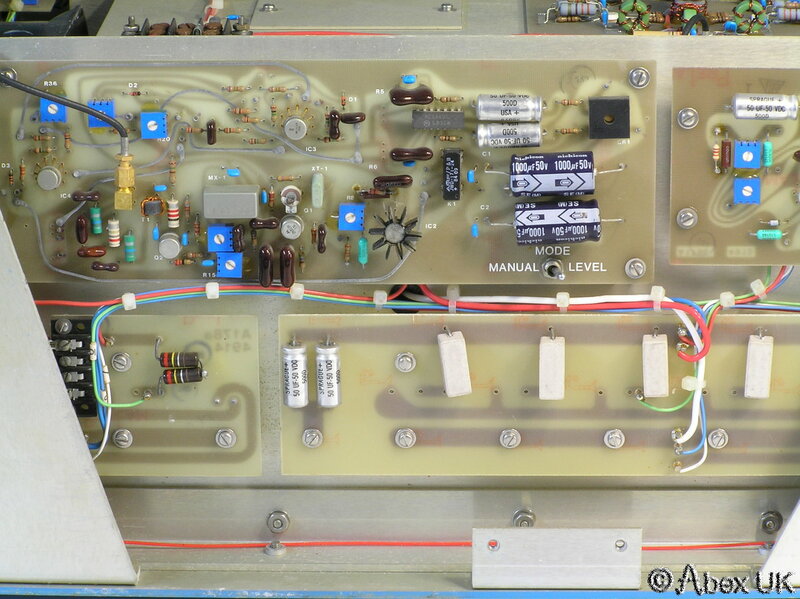 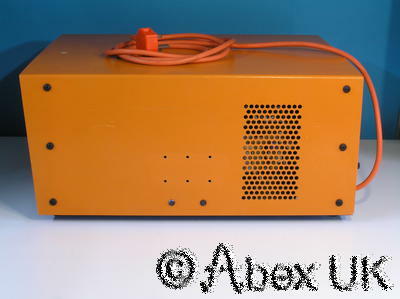 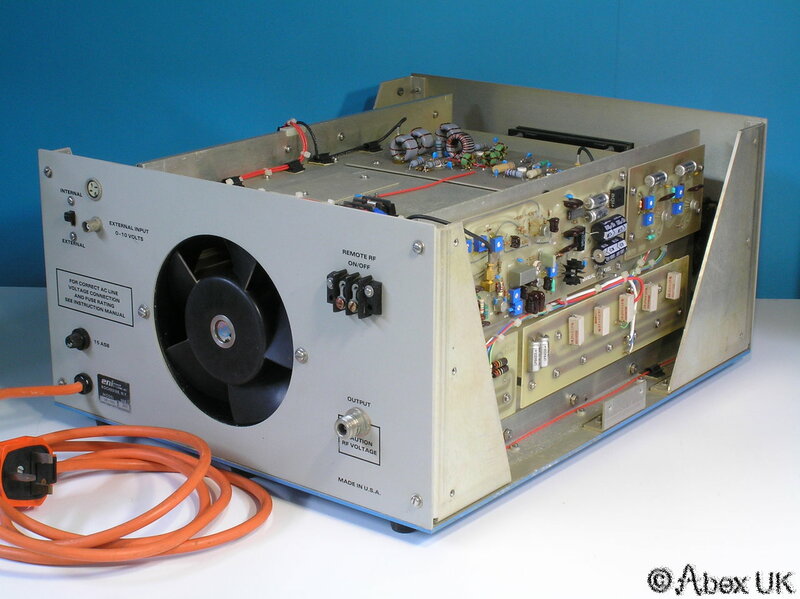 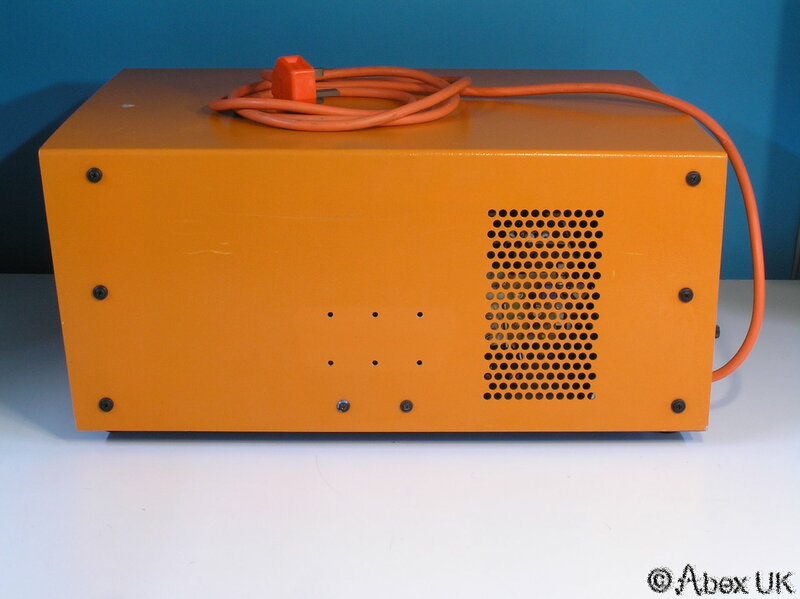 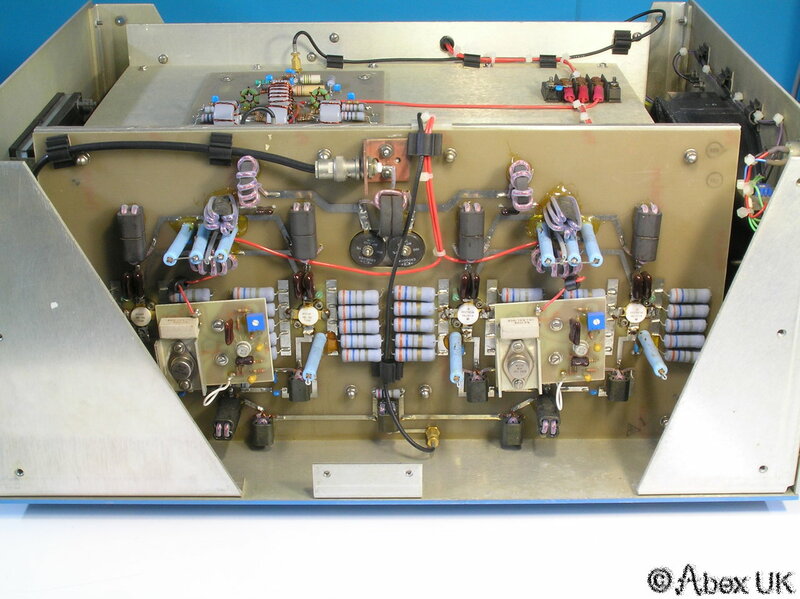 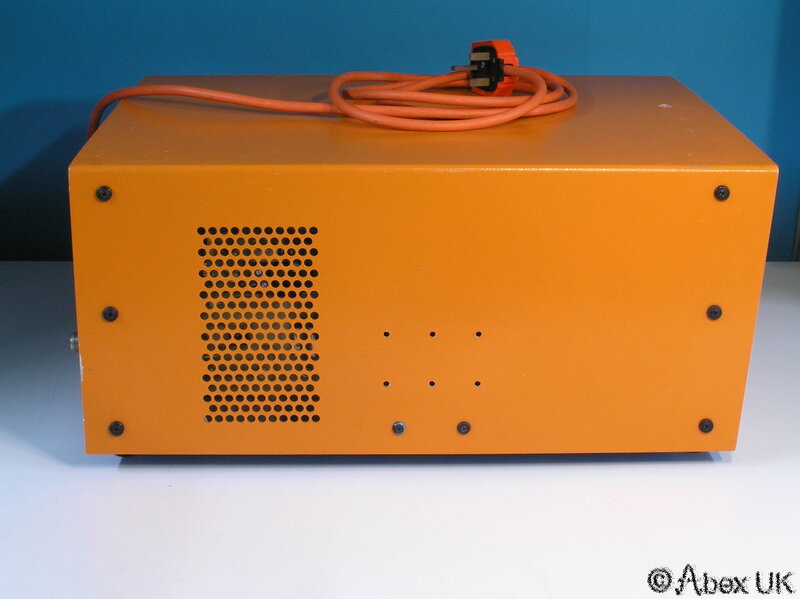 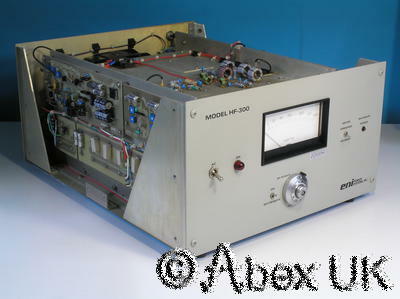 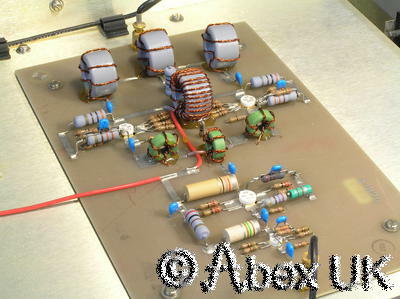 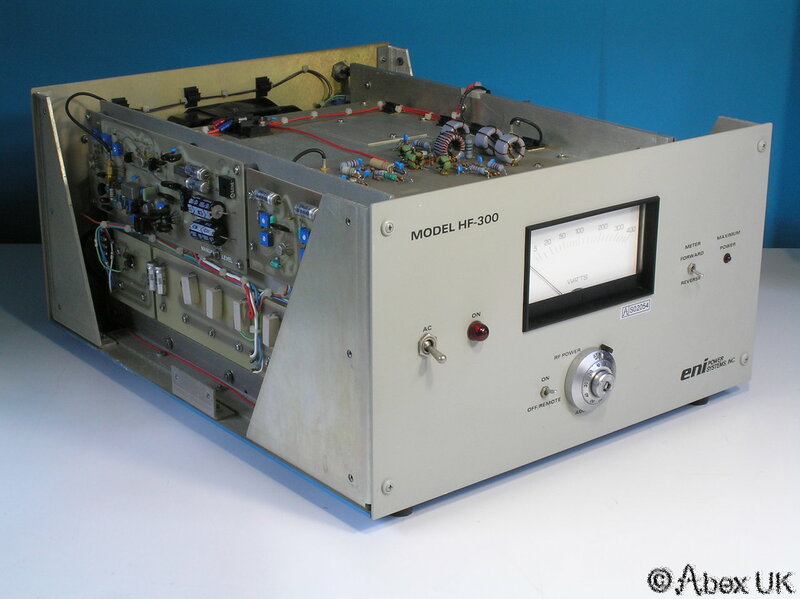 It is internally similar to the model 2100 amplifier, with the addition of a built in 13.56MHz signal source. 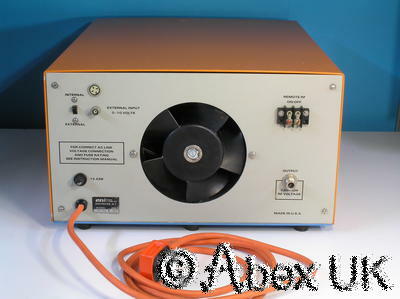 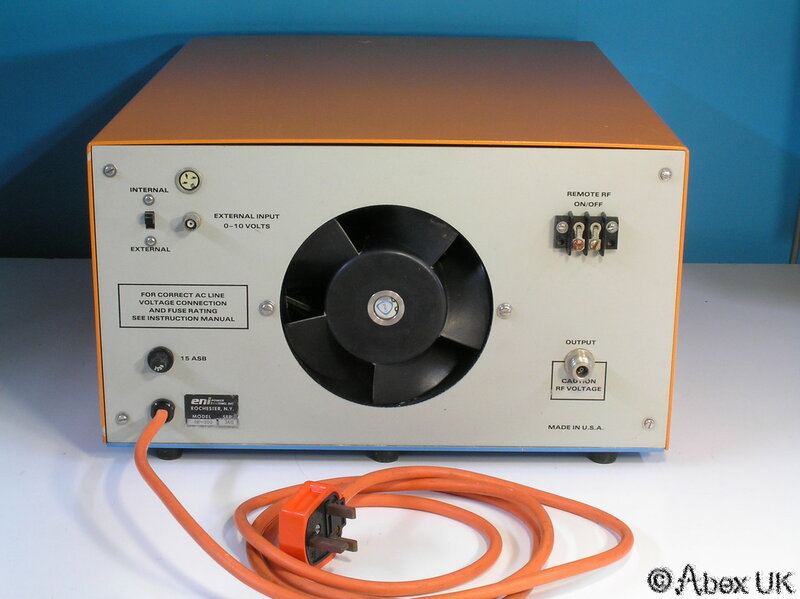 As a power generator this would be used for plasma applications. 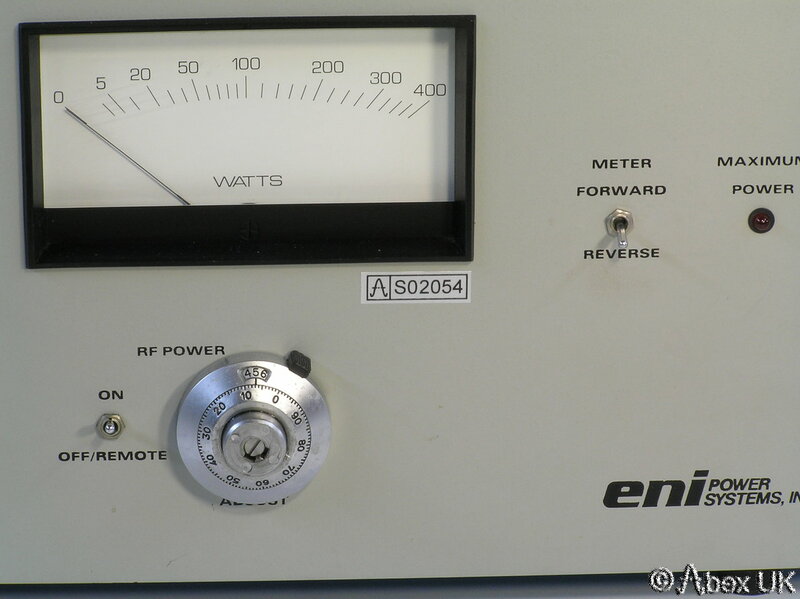 Ea sily converted to a broadband HF amplifier. Powers up, fan runs, but no output. No obvious internal damage. 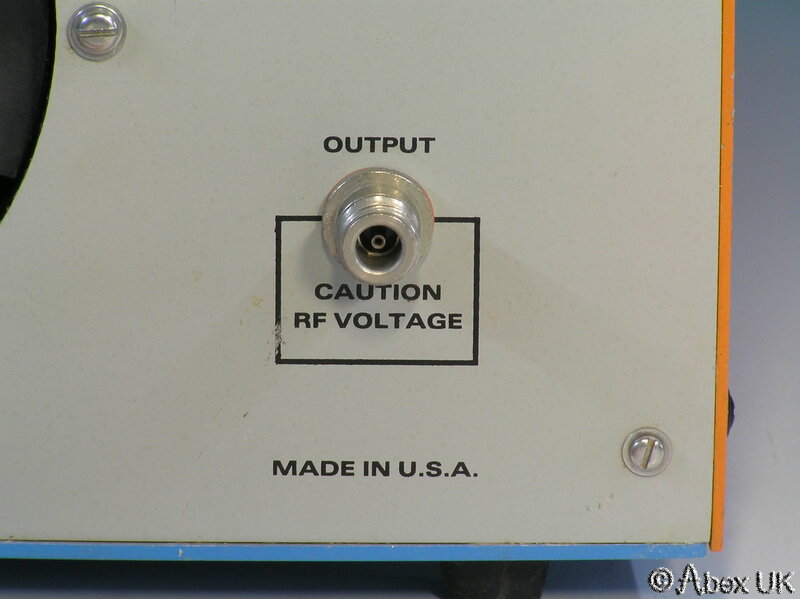 Not investigated further. 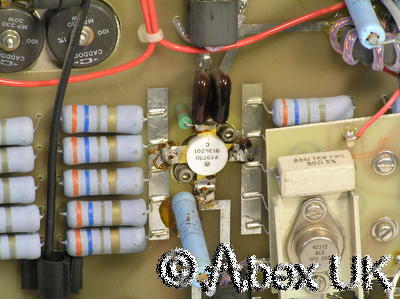 230V ac input. 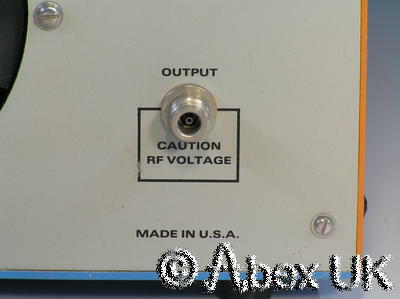 With the addition of an RF input connector, this unit would make a very nice bench-top RF amplifier. 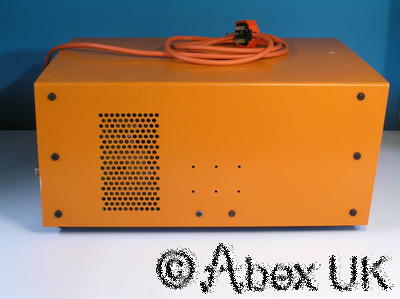 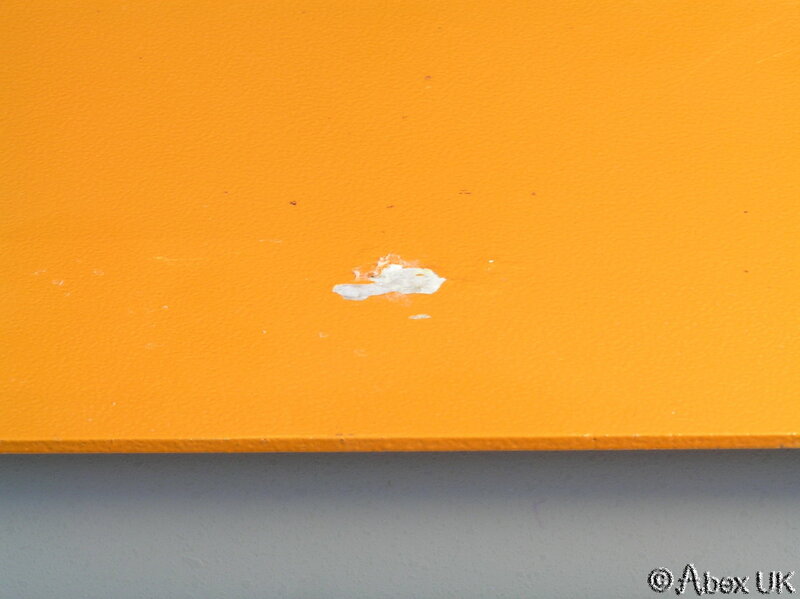 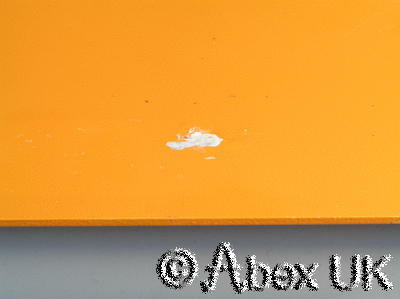 In very good cosmetic condition as shown below, clean inside and out. 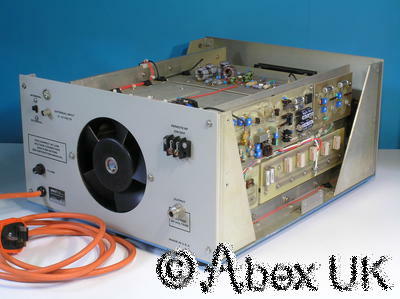 For spares or easy repair.